I know it has been a long time since I updated a post for feeding baby calves and I have been trying to get a post in but just have not had the time. This year has just zoomed by and it must have seemed like I gave up on feeding baby calves all together. Well not so. 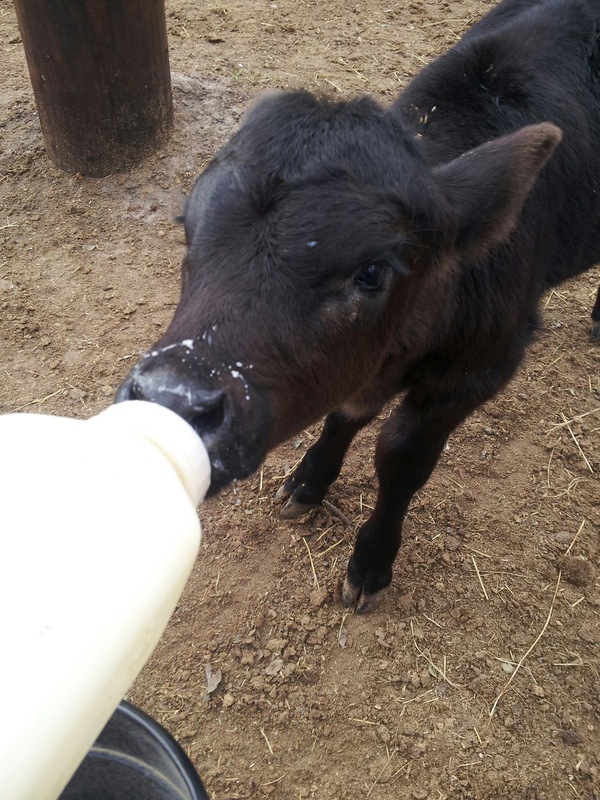 This year has been a little slower than those in the past for bottle feeding calves, but there was still a good number of calves raised on the bottle. Just last month ten Holstein steer calves was weaned from the bottle and right now there is one Angus heifer calf on bottle. Four Holstein steers have just arrived from the dairy farm. These four came from the same dairy the other ten did. 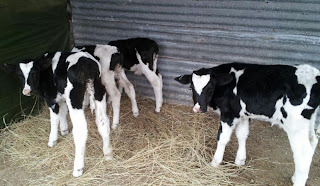 This has been a new dairy farm that we started to get our calves from. The previous dairy we used went out of business. It didn't surprise me. The price of milk has not been good for the dairy farmers last year. The owners operating the old dairy really made their living by selling real estate. The good news is this new dairy is a little bigger and can supply a few more calves. 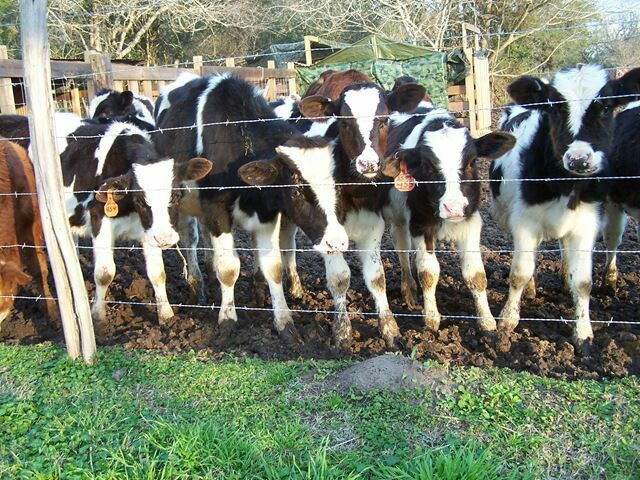 We should have no problem with raising full groups of Holstein calves this upcoming year. Used to love to run a hand along their front shoulder. Then get a nudge if they thought you had a bottle. Did the same with lambs. sounds like your farmers are going through the same things our farmers are. Many have just walked off the land. 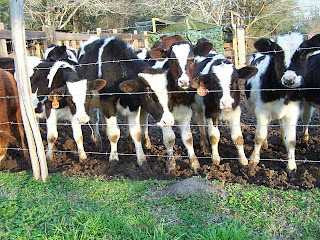 The calves are so cute. Thank you for all your assistance these last 2 years. 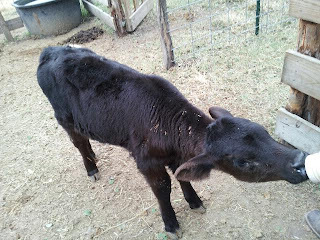 My holstein/jersey calf grew up with such a personality, and so very healthy since I followed your columns' advice. She was bred by Dad's jersey bull last March, and I now have an adorable heifer with the same small chocolate curly body and long dark lashes as her father. She was born December 30. Now my lessons are how to keep her nursing as I milk her, and how to not compare her tiny size to her mother's bottle-fed healthy size. We don't have any snow here in metro Denver, but the chill has been challenging for her. Thank you for all your wisdom -- it has gotten me to my current bliss.